As you might know, the California Mid State Fair is right here in Paso Robles.. and it’s coming up in less than two weeks! The big names in music that perform are a draw – including Jason Aldean and Meghan Trainor, but there’s much more to the Fair than just the musical acts. We want to show you the best way to experience it! 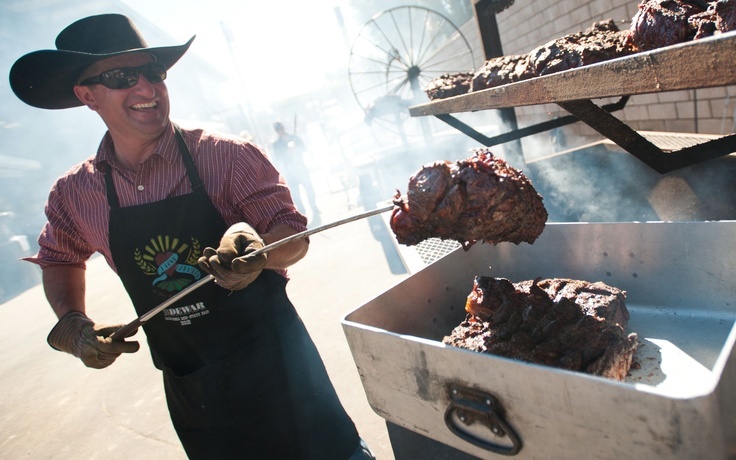 We’ve divided the main parts of the fair into sections, and we’ll give you insider tips from our own experience and the experiences of other locals in San Luis Obispo County. 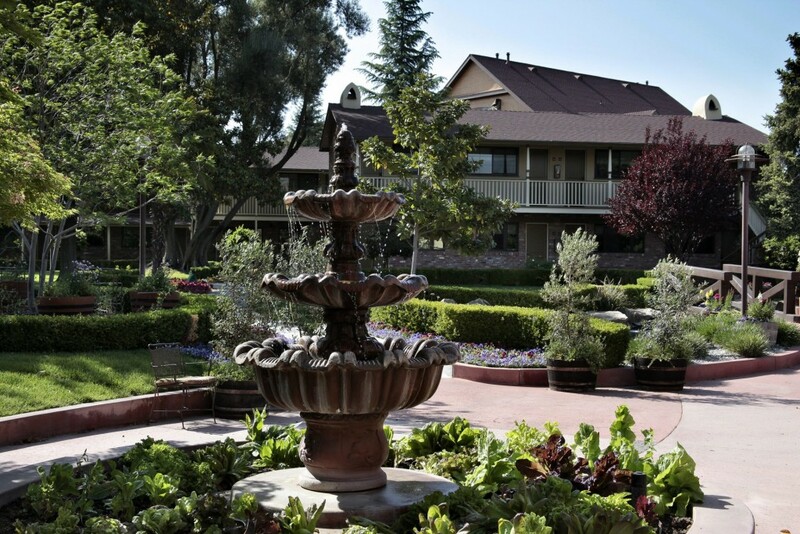 Stay at the Paso Robles Inn, in the center of downtown Paso, and catch the shuttle stop at “City Hall” @ 10th/Spring for a free ride to the fair (no parking stress!). The parking lot for the Fair is directly across from the Paso Robles Event Center, but parking is very limited and expensive. If you’re staying in San Luis Obispo, you can get a ride to Paso with SLO Safe Ride. Buy and reserve your tickets ahead of time, park your car by one of the two designated stops, and hop on the bus! Once you’re done at the fair, the bus will take you right back to your car. There are over 85 outside vendors at the fair this year. As you might expect, there’s traditional fair grub – BBQ, fried food, deep fried treats, cotton candy, and more. It might be easiest to forgo any semblance of a diet – just enjoy the fair atmosphere! Local restaurants from the county have their own stands, including the popular and delicious Old West Cinnamon Rolls. Atascadero Kiwanis‘ burgers are also a popular choice. You can also find fresh local fruits and vegetables or healthier meal options. For drinks, visit the large and long-standing The Crushed Grape wine tasting bar with live music, or any number of the breweries or wineries that set up shop at the venue. After all, this is a fair, so the food prices will be more inflated than they usually are. That’s part of the fun, and that doesn’t mean you should eat before you go! The varied options virtually guarantee that you’ll find something new (or old) that you’ll love. Splurge on food, but try to save your money on water: the fair allows two unopened water bottles – bring these and refill them in the Center Quad. The fair opens at 12:00 pm and closes at midnight. It tends to be most crowded, and hottest, from around three until when the sun goes down. If you want to beat the crowds, go at night! An added bonus – it might be much colder, as the temperature in Paso can often drop dramatically following sunfall. Bring a light sweater along, just in case. You can also try to beat the crowds by arriving right at noon. And, if you’re attending a paid concert, make sure to arrive early – try and get there by the opening act, even if you only care about the main show. Don’t forget to bring your water bottles and shuttle, instead of parking, for the most convenience. Your ticket to the fair will also let you in on a number of free concerts. On the Fort Frontier stage, acts include the Oklahama based folk-country band “Turnpike Troubadours” (8/22), the fifth season American Idol winner “Taylor Hicks,” (7/24) and the Paso-local pop/rock band “The Small Kicks” (7/27). All shows are at 6:30 pm & 8:30 pm. On the Mission stage, there are three Karaoke nights (7/27-7/29) along with several other smaller musical acts. (7:00 pm). Of course, the fair doesn’t stop with music. Animals arrive on July 25 – be sure to tour the livestock area to see a great number of different animals including horses, pigs, goats, and rabbits. There are various equestrian shows on every day of the event, livestock shows that take place in the Livestock Pavilion, and the annual “Mutton Bustin'” event – children ages 4-7, weighing less than 60 pounds, try to ride a sheep for a full six seconds. Throughout the 12 days of the Fair, there are multiple displays including Arts and Crafts, Flowers, and Photography. Visit judged events like cooking competitions or wine or beer home brewing competitions. Check out the daily schedule for more (free) activities that might interest you. More advice – Buy your tickets before you go! If you purchase fair tickets at your local Albertsons or Vons, you can save some money and avoid the hassle of waiting in line at the venue. You can also purchase all day Carnival Ride Wristband coupons at Albertsons or Vons. Pay a visit to Domino’s for a Family Pack coupon – for $30 you’ll receive two Adult tickets, two Child tickets, four slices of Domino’s Pizza and four bottles of water. See more about promotion opportunities here. If you look early, you’ll save more.